“Barlean’s new Chocolate Greens is the absolute easiest and most delicious way to fuel your family’s vitality, energy and immunity with the antioxidant power of more than 20 servings of fruits and vegetables per serving. Kids will love this super nutritious drink, so it’s perfect for the whole family. This green drink is great served hot or cold, and features the nutrition of more than 50 unique super foods and supplements, delivering a MEGA 9,000 ORAC antioxidant value per serving. Its delicious chocolate flavor comes from 100% all-natural cocoa powder. Zero sugar!” Both Barlean’s Chocolate Mint Essential Woman Swirl and Greens Chocolate Silk Powder taste delicious and are perfect for baking and in a smoothie. The mint flavor inspired me to make Chocolate Mint Fudge Crumb Bars. I love chocolate and mint combo! Add a chocolate shortbread crust cookie and it’s a dreamy cookie bar! These bars came out better than I imagined! Perfect blend of mint and chocolate! 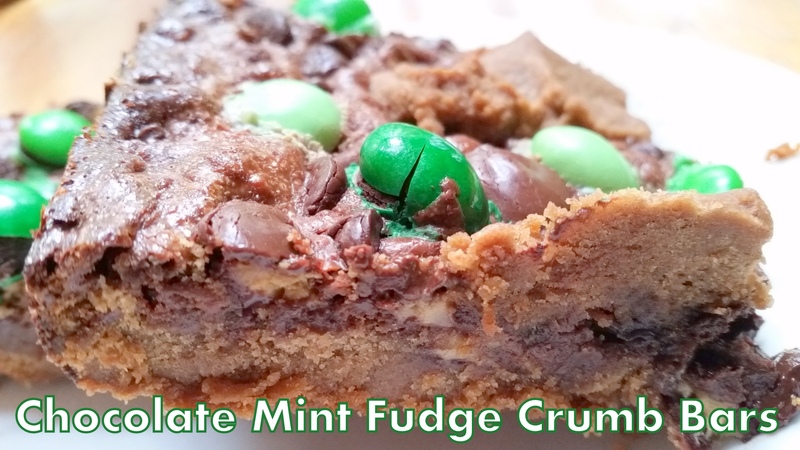 It’s a very Chocolate-y shortbread cookie with a fudgey center topped with Mint M&M’s! Here’s what you will need for this recipe. 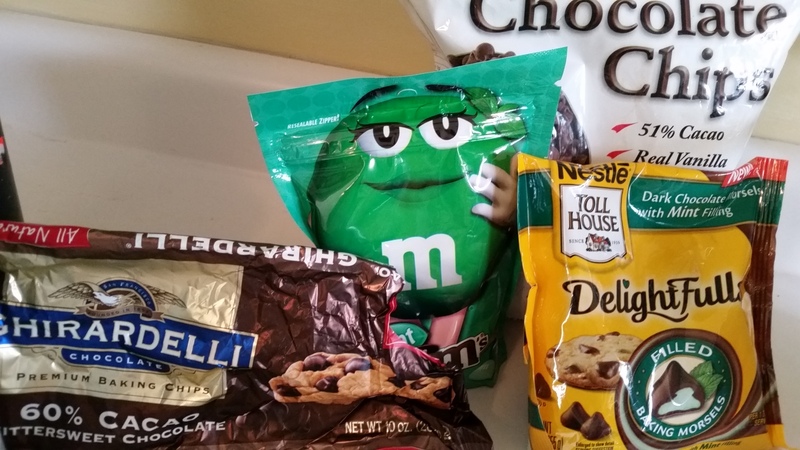 Ghiradelli Bittersweet Chocolate Chips, Semi Sweet Chocolate Chips, M&M mint chips, Toll House Delightfulls Filled Mint Baking Morsels. 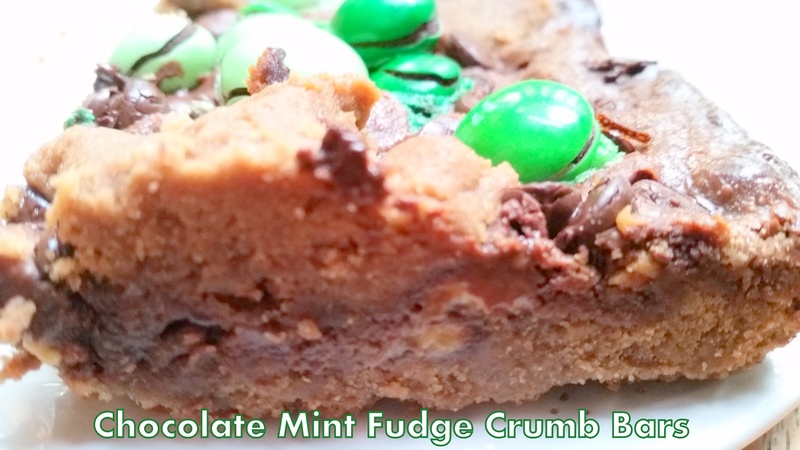 The Best Mint Chocolate Bar with a chocolate shortbread crust, fudgey filled and a mint M&M's top. Grease 9 x13 baking dish. Cream butter and sugar together. Add Barlean's Chocolate Mint Swirl. Beat in flour, Barlean's Chocolate Silk Powder and salt until and crumbly. Reserve ¾ cups of the crumb mixture and press the remaining onto bottom of prepared baking dish. Meanwhile, combine sweetened condensed milk and bittersweet chips in a microwave safe dish and heat on medium heat, in 30 second intervals in microwave until chips are melted. Stir until smooth. Pour over hot crust and spread until even. Sprinkle Nestle Toll House Delightfulls morsels on top of the chocolate layer. Sprinkle reserved crumb mixture over chocolate mixture. 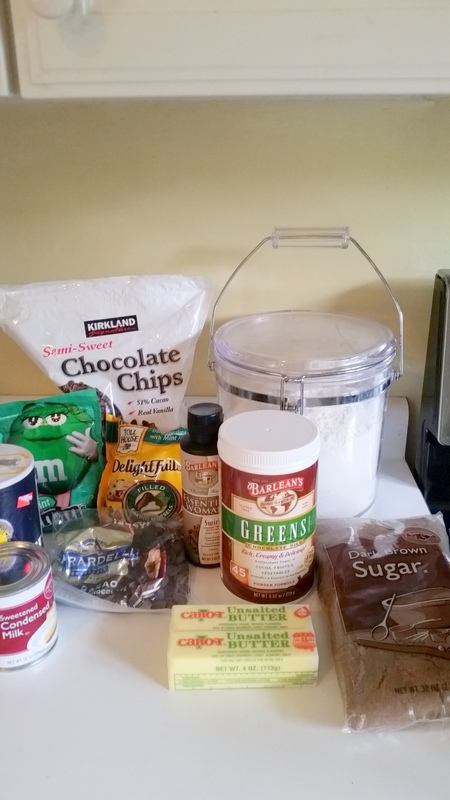 Sprinkle with 1 cup semi-sweet chocolate chips and mint M&Ms. Bake for an additional 25-30 minutes or until set. I have never seen the delightful morsels. I am keeping my eyes peeled. Great recipe. SO fudgy and irresistible! My kids go nuts for chocolate mint desserts—they’d love your bars, too! I love all types of chocolate but white chocolate is so good. I love white chocolate the best!